Days of Our Lives spoilers for the week of December 10 reveal Gabi Hernandez (Camila Banus) and Abigail Deveraux (Kate Mansi) plot against each other. Meanwhile, Julie Olson Williams (Susan Seaforth Hayes) works with Abby to get dirt on Gabi. A lot is happening this week in Salem! Will Abigail finally bring Gabi’s downfall? Monday’s Days of Our Lives spoilers show a game of cat and mouse begins between Abigail and Gabi. Now that Abigail is out of Bayview (she is pretending to be Gabby, her alter), she can finally go after Gabi for gaslighting her and sticking her in a mental hospital against her will. Also on Monday, Rafe Hernandez (Galen Gerin) can’t believe his eyes when he discovers Ted Laurent (Gilles Marini) with his wife Hope Brady (Kristian Alfonso). Ted lies and tells Rafe that he and Hope are having an affair! 50 years after first returning to Salem, Julie reminisces about her experience says Tuesday’s Days of Our Lives spoilers. Elsewhere in Salem, Lucas Horton (Bryan Dattilo) prepares to leave town once and for all by saying goodbye to all of his family and friends. But will Lucas be gone from Salem for good? Or is there a chance that he will head back soon? Bryan Dattilo announced that he was leaving the series, and there hasn’t been any word on him heading back to DOOL yet. But that doesn’t mean it won’t happen! Against all odds, Sonny Kiriakis (Freddie Smith) and Leo Stark (Greg Rikaart) prepare to wed each other on Wednesday on Days of Our Lives. Will Horton (Chandler Massey) and Sonny are rightly devastated by the wedding. Leo, however, feels great by his plan’s success. Also on Wednesday, Justin Kiriakis (Wally Kurth) delivers a letter to Chloe Lane (Nadia Bjorlin). The details of the letter leave Chloe shocked. Does this have anything to do with Lucas leaving town? Or could the letter somehow possibly even be related to Nicole Walker (Arianne Zucker) or her daughter Holly Jonas? On Thursday on DOOL, Kayla Brady (Mary Beth Evans) finally tells Tripp Dalton (Lucas Adams) the truth about his father, Steve Johnson (Stephen Nichols). Tripp comforts his stepmother after she reveals everything. Also in Salem, Sonny and Leo’s wedding is interrupted – which could be either very good news or very bad news. 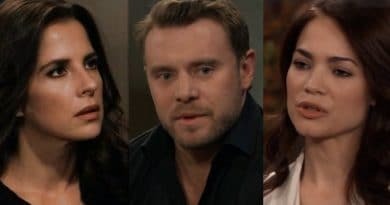 Sonny doesn’t want to marry Leo, so could Will or Kate Roberts (Lauren Koslow) have found a way to stop this from happening? Friday shows Julie working with Abigail to bring down Gabi. Julie has never liked Gabi, and she wants to make her pay. So, in order to get the goods on her, Julie sneaks into Gabi’s bedroom, hoping to find something worthwhile. Friday also shows Eric Brady (Greg Vaughan) confronting both Brady Black (Eric Martsolf) and Chloe. Eric has some questions about something that Nicole left behind, so he meets with the two to discuss this. Could there be more trouble on the horizon for Eric and Brady? Does this confrontation have anything to do with Holly, as both Chloe and Eric want custody of her? The week of December 10 has a ton of drama for all Salem residents! 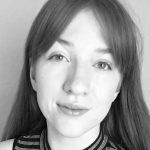 Make sure, as always, to head back to Soap Dirt daily for all the latest Days of Our Lives spoilers and news. 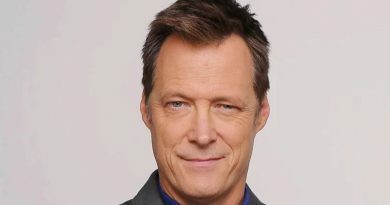 ‘Days of our Lives’ Breaking News: Matthew Ashford- Jack is Back!